Soooz Says Stuff: Interview with Heikki Hietala author of "Tulagi Hotel" and more. Interview with Heikki Hietala author of "Tulagi Hotel" and more. Before we begin discussing your work as an author, lets discover more about Heikki Hietala the man. Firstly where do you live? Firstly, let me say thank you for having me here. I live in Klaukkala, just outside Helsinki. Yes, and I have two sons. 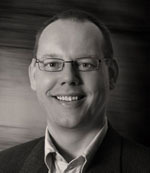 I am a Senior Lecturer in Information Technology at HAAGA-HELIA University of Applied Sciences (what a mouthful). I’ve also worked in translation for years, since I hold an MA in English. Tulagi Hotel is based during and after WW11…what prompted your interest in that time frame? World War I was the wake-up call the world missed. By the time WWII rolled in, technology had improved tenfold from the Great War, and consequently the horrors of war were also made worse. But in WWII there still was a little room for gallantry, nowhere more so than in the air, where pilots fought with a sense of noble combat (for the most part). Also, in WWI airplanes were flimsy kites and pilots took pot shots at each other with pistols – in WWII, the airplane had come of age, and to survive, pilots had to fly the planes to the edges of the performance envelope. I have always been fascinated by this period of technology and human capabilities intertwined. I also believe it to be the last grand scale war this planet will see. There’s many stories yet to be written, based on how that war threw so many lives into turmoil. When did you begin writing Tulagi Hotel? I started it in April 1996, while sitting in the office and managing a huge translation project of more than a million words. Chapter 1 just appeared out of nowhere, and I was really surprised about its popping up like that. Then I wanted to see what happened before it and what came after it. Why the long delay between starting the book and the finished draft? Twelve years sure is long, but first, I could not set much time aside for the writing, and second, I really wanted to do my research properly. Therefore it took me a long time, to acquire a library of eighty books, and download about 2,000 pages off the Internet. Many of these books are biographies and unit histories, so digesting the information takes time. In a technical setting like this, a book’s believability depends on the background work, and I am happy that people have told me the details work well in support of the storyline. I spent countless hours researching just the planes the characters fly. I don’t think I ever felt burdened by the research, though – history is my favorite subject in any case and I read a lot of stuff that had no impact on the book. My personal favorite is finding the genuine 1949 timetable for the Trans-Oceanic Airways route from Sydney to Tulagi – there’s a Swede who collects things like this, and scans them for the net. Your central character Jack McGuire is a complex man, a man with layers that peel away like a Spanish onion giving the reader insights into what motivates him. Is Jack McGuire based on anyone that you know? Jack has traits and features from many people I know, and some I do not know but have read about. Still, the main driving force behind him was that I wanted him to be a real everyman, with nothing that would set him apart from the thousands of farm boys who became skilled pilots in the cauldron of World War II. I also believe every person is an onion really, and given different settings, new features will arise. The war is of course a mighty grater and will reveal things not even the people themselves knew about. How much of yourself do you see in Jack McGuire? There are some features that one could claim to have seen in me as a younger man, and a couple of the events in the book have a solid basis in reality. However, I do not readily admit having based Jack on myself, except for the timidity bit, and the inordinate passion for flying. No, I have no Pilot’s License, but when the movie is out, I can finally afford one. Why the Solomon Islands as a setting? The Solomons were unique in the war as the springboard of the US Navy’s three-pronged drive up the island chains. They took a terrible beating but when the front line receded, they bounced back quite well. Not many people understand what a near disaster the Guadalcanal operation was in 1942, aptly named “Shoestring”. They were short of everything, men, planes, ships, supplies; the only thing they had more of than they needed was mud. On the other hand, some of the other Solomons are a veritable paradise. Florida Island, on which Tulagi Hotel is, is one of the others. I have a friend who has sent me literally thousands of pictures from the region and they helped the design of the hotel enormously. When I got the idea for the hotel, the name appeared straight away, but the location of the hotel took some figuring out. The main island of Tulagi was hard hit by the war, but Halavo Bay, where the US had a seaplane base, worked well in this sense. Despite the horrors of WW11, you have crafted a book that speaks off a gentler time in its approach to relationships and aspirations. A time before the innocence of the man/woman relationships was lost. Is this an era you feel connected with? Yes, very much. I am of the opinion that our own time is not as interesting as the 1940’s. This is because we are so over-entertained that we need 3D movies to feel anything. In those days, even travel was much more of an adventure; to get from Boston to the Solomons was a major undertaking, even if there was a biweekly flight opened between Sydney and Tulagi in March, 1949. As for the man/woman relationships, it is exactly the same. With speed dating and everybody playing just for his or her own sake, society is bland and boring. And I have to say, being able to google out everything about everyone is not very romantic. There’s just no space left for imagination. The book explores the “buddy” theme, Jack McGuire’s relationship with his friend and co-pilot Don Wheeler is rich with humor and anecdotes and the camaraderie often found in wartime. Did you create Don Wheeler as a colorful and dashing war hero as a foil for Jack’s calm? Don is there because Jack on his own would not have brought out the daring mindset of WWII. In fact, if there’s anyone in the book who has a counterpart in real life, it’s Don, whose antics can be traced to a bunch of ex-colleagues of mine. Don’s main contribution, however, is to help Jack overcome his feelings in combat. In that war, one had to be physically close to the enemy to be able to shoot him down. It was not uncommon to have a plane’s guns harmonized at only 300 feet, therefore to have the best results, you had to fly that close to the enemy. It is this closeness that contributed to the emotions caused by shooting someone down, and Don tells Jack that while he shoots the other pilots down, it is because he is ordered to do so, not because he wants to kill them. You have covered some dramatic and wonderful aerial dogfights in the book, do you have an affinity with the machines these men flew, and the connection between the men and the machines that took them into the skies? In modern combat, pilots can shoot someone down with a radar-guided missile if they are within 50 miles of the enemy. Not so in those days. The one who saw the enemy first had the advantage, as did he who was higher when the battle began. And to be really successful, you had to fly really close to the enemy – no wonder they named an intense combat “furball”. My uncle flew in World War II as a commissioned officer in the Finnish Air Force, and his tales (of which I heard too little) underline the teamwork. Not only did the pilots have to work as a team to survive, the plane maintenance crews’ work and communication with the pilot were just as important, and I wanted to highlight that by giving a voice to plane crews too in the book. I admire the people who went through that ordeal. Especially the carrier-based squadrons are amazing: they take off in the morning, fly out 300 nautical miles, fight for half an hour, fly back the 300 miles… to a ship that has moved 60 miles in any direction. Then they land on a deck that can go up and down 30 feet and roll up to fifteen degrees. It is nothing short of miraculous they managed that. The book has an interwoven second layer in the developing relationship between Jack McGuire and Don’s widow did you find these scenes more difficult to write than the complexity of the war scenario? It was different, and difficult in its own way. I didn’t want to write it too clearly, as I myself do not like to read books that spell everything out. Neither did I want to concentrate on it wholly; I juggled the two major themes quite a lot, but after I understood I have to break the chronology,. it became much easier to merge them into one coherent whole. I have to say I was quite anxious as to what kind of response the romantic side would get. What I have heard from readers is, I did manage to strike a balance that does not veer too far to either side. This is a genuine surprise to me. Stepping away from Tulagi Hotel for a moment, what other works have you completed? I have written about 30 short stories. Most of them are with a slight supernatural or mild horror twist, but there are also real-life shorties and a couple of flash fiction works below 500 words. I’ve also translated or edited the English in a six-book series on the Finnish Air Force between 1928 and 1945. Yes, I am negotiating a short story collection with my publisher, Diiarts. That one would incorporate many of my stories. Besides that, I have two book projects, one in a synopsis form doing the rounds with my beta reader gang, and another which I started just now, mainly to see whether it has what it takes to become a full novel. The world of traditional publishing is undergoing some heavy-duty change at the moment. Where do you see it leading in terms of the purchasing public? I think the reading public never had it so good. If they’re like me, they want to browse books and weigh them in their greedy little paws before sauntering to the cash desk; if they’re like my publisher SJ Hecksher-Marquis, they also will go for the Kindle version when the urge hits them and there’s no time for shopping. Two seconds and the book is yours. What I actually would like to see is not that much a new technology for reading books, but the return of the old-fashioned novel, just as I’d like to see real TV drama instead of Reality TV drama. Do you think that the times of sitting comfortably with a paperback/hardcover novel in your hands are coming to an end with books being able to be read on Kindle and such? No, I do not. Many people associate reading with some time off the modern world, in a cozy chair with a large cup of tea at hand and a blanket warming the legs. Or a cat in the same role. Kindle augments the picture with the ability to shop for books while sitting in the Greyhound with not a book in sight. I still think the traditional user interface to a book will stay with us for many years to come. The real world has a habit of intruding into a writer’s time; how do you manage a good balance between the necessities of daily life and the need to write and create? I’m versatile; I can plot away while sitting in the morning traffic or when the evening news are not very interesting, and then write it down when I have half an hour. Writing is the best diversion I know, creating worlds and situations and dialogue is very good maintenance for the brain after teaching user interface design for eight hours. During Tulagi, there were literally weeks and months with not a word written, and then, on a business trip, I’d just pour out a whole chapter or two within a couple of days – once during a 11 hour overnight flight to Singapore. Actually quite a lot of the book appeared in hotel rooms after hours. I also employ my subconscious a lot by thinking of a plot twist just before falling asleep over a few nights, and the answer I need will pop up when it’s all done in the back of the head. Not really, although much of my current work is done at the desk in the den. I also use coffee breaks and skips in the curriculum for writing. When I was coming home from the launch of Tulagi, I was hit by the ash cloud and spent 62 hours on trains, stations, and a ship. I wrote many notes and snippets of text during the run, using my mobile phone. I also carry a Moleskine for the times when inspiration hits and the batteries are dead. Do you listen to music whilst you write, or do you prefer silence when you are creating a work? I like music a lot. For writing it’s either Steely Dan, or Jean-Michel Jarre. Brian Eno’s ambient music works really well too. Michael Wells just had a great project where writers were given a song and asked to write a short story based on it, and I was happy to participate – won’t tell you what song I got, but you’ll soon see the anthology. Classical music works for me very well, Tannhäuser and Mozart’s Requiem being two of my favorites. How much of your time is taken up with promoting Tulagi Hotel? I try to spend an hour a day promoting it either on Facebook or on its own site. I am also active in Year Zero Writers, and on that site I have had quite a lot of comments. The snowball effect has yet to materialize, but the power of the blogosphere is never to be underestimated. The support group for the book on Facebook has turned out way better than I ever imagined. People contribute pics of the book all around the world and suggest helpful links for marketing, or just plain come in and have a bit of fun there. What’s next for Heikki Hietala? The next step is to select and polish the stories for the collection by Diiarts (there’s no schedule for it yet), and to finish stories number 34 to 42. I seem to get these ideas about once a week, and I straight away create a folder for the prospective story, numbering them as I go. Therefore there are empty folders, but they all will be filled in as soon as my subconscious tells me what it wants me to write. As before, I work in paras or even single sentences, entering usable dialogue into a file called Snippets. They’re just waiting for the right story there. Tulagi Hotel is several books. There’s a love story (two actually), an evocation of air warfare against the Japanese in the South Pacific, a story of growing up in Nebraska, a buddy story, and lots of anecdotes and characters en route, all with their own satisfying completeness. They’re described with restraint and a unifying narrative calmness and held together by the quiet charm and attractiveness of the central character, Jack McGuire. From his days on the family farm and the trauma of the loss of his twin brother, through his time at flying school with its clashes of personality and ego-fuelled conflicts, to his war service and eventual retirement to run the hotel of the title, we share his hopes and disappointments, his exhilarations and despairs. OK, my crass words are melodramatic, but this is a book which also has heroism as a theme – not in any brutish cinematic way, but in the way Jack confronts enemies in the skies and his own demons as man and boy. He’s basically a gentle man, marked by compassion, a respect for others and for old-fashioned human decency. He’s evoked so skilfully and with such consistency that his presence stays with you when you close the book and you find yourself wondering how he’s getting on, whether the hotel’s thriving and … well, other things which might spoil the ending if I scribbled them here. Don Wheeler, the buddy with whom he shares so many adventures, encapsulates the romanticism and heroism of wartime and acts as a perfect foil for Jack’s less flamboyant approach. It’s in his depiction that we see that strange wartime commingling of exhilaration and futility. So it’s the sort of book with enough variety, colour, humour and incident to hold the reader throughout. On top of that, though, is the writer’s achievement in his evocation of a whole period when values were so different from our own. I mentioned Jack’s compassion and respect for others and yet, as he targets enemy planes in the wonderfully described dog fights, he seems to reflect little on the fact that, as another pilot is blown out of the sky, it’s another human being he’s destroying. I’m not suggesting callousness on his part – it’s just the way things were, and Heikki Hietala has captured the strange ethos of aerial warfare and the people for whom it was a daily reality. The language they speak is different, the constant possibility (probability?) of death is acknowledged but subjugated to a determination to make sure they never waste the moments of their own living. The nobility of their actions isn’t artificial, it’s based in the knowledge that they’re fighting for things in which they believe. I’ve no idea how Hietala achieved this, but everything – the vocabulary, the way in which relationships are articulated, the bonds between men as well as between men and their machines – is all part of a consistent presentation of a specific era with recognisable values and purposes. This is clearly a book which realises the author’s specific vision. He gives you excitement, pathos, tenderness, love, nostalgia, beauty and a set of characters that, even in the sadness of some of the episodes, convey the essential resilience and value of human beings. If I had but one word, just the one, to use to describe Tulagi Hotel, I would choose "charming". From the opening scenes I felt that rush of recognition, of a time and place that would have seemed warm and familiar to my parents and grandparents, and in my mind lasts as a memory of how they spoke, how they viewed their world, how they simply got on with it with quiet grace and pride. I could also choose "authentic" and wax poetic about the attention to detail, such that the planes, the dog fights, the downtime mischief of young men caught up in something bigger than themselves, all conspire to put the reader front and center, almost cinematically, in the action. "Romantic" would be good, though it be that heart-clutching variety, the two-hanky movie, chick-flick friendly. But it is way more than that. It is coming of age during a time of war when all things change, yet all things stay the same. It speaks to choices and inevitablity. And there came moments when I moaned "no, no, no", so caught up in the life of Jack and Kay and all the other characters who populate this author's world. I urge you to book a stay at Tulagi Hotel, find a palm tree, feel the warm breezes and lose yourself to another time and place. This story follows the life of Jack McGuire through his varied epic, life-defining struggles. Of course the word "epic" is relative to one's age, but in this story a model airplane competition during childhood is every bit as dramatic in the mind of the reader as fighter combat during wartime. I was not expecting to be so excited by this book but the author takes what could have been a formulaic plot and combines colorful characters with a masterfully woven timeline to construct something greater than the sum of the parts. Having read extensively about the Second World War myself, the picture that the author paints of life in a Pacific fighter squadron feels very authentic, and the combat scenes are as riveting as anything I have ever read, historic or fictional. This novel is a combination of exotic environment, history, human relationships, companionship and friendship, philosophy of life, Romanticism and a fistful of mystery. The author keeps good balance between all these factors and a continuing interest of the reader through the story, with a good structure and a very pleasant and clear writing style. I also think highly of the research work needed for the story. I am expecting a new book from Mr. Hietala - no - I insist him to write again. For me, a book is not only the text inside. The cover can give a lot. In this case it really does. Read and enjoy. A keen aviation enthusiast, I had to add this book to my shelf and I am so glad I did. Mr Hietala has created an engaging character in Jack McGuire; plausible, amusing and with the right mix of cynicism and wit. I immediately connected with him. The 'romantic interest', provided by Kay Wheeler, widow of Jack's war-time friend, is credible and blended with great skill. The reader is easily taken to the time/place, so that one feels a proximity to the action such that one breathes the air and senses the sun on on a bare back. The smell of gasoline is in the nostrils as the engines roar and the bullets rip into the fuselage. No novel can achieve more praise than that. This is a thoroughly enjoyable read and a 'must' for any fan of military aviation. I read the hardback version of the book and enjoyed it very much. Nice clean and spare style and intriguing story. One section dealing with a model plane competition I found particularly touching. I do recommend it. The story of Jack McGuire and his struggle to pick up his life after the challenge of being an ace pilot during WWII is beautifully written. When he goes back to the Pacific to carve out a life there, trying to find again the excitement and romance of his wartime experiences, he meets many challenges. And when Kay Wheeler arrives, his newly ordered life is disturbed. This is an absorbing, compelling story and I couldn't put it down. Adventure, excitement, tragedy, romance and engaging characters, this novel has it all. Thank you Heikki for joining me here today. Now we come to plug time. So please list the sites where my readers can learn more about your work. Fascinating. Great interview, so thorough and refreshingly to the point. When I read of the amount of research you did, Heikki, it doesn't surprise me in the least, but it does lift my admiration even higher because you merge those 'facts' so seamlessly into your narrative. And your professionalism when it comes to PR makes me feel ashamed of my own tepid efforts. I'm glad Tulagi's doing so well; it deserves to. It has been one of the great pleasures of this year to get to meet Heikki in the flesh at the launch for Tulagi Hotel. he is even lovelier in person. And, arriving just before the ash cloud chaos, we even had the pleasure of his extended company in Oxford. ANd he's a Jean-Michel Jarre fan. It gets better! A great interview, thanks to both of you for bringing it to us and sharing. Terrific interview, Heikki. I stand in awe at the amount of research you did - and that speaks to the very real flavor of authenticity that insinuates your narrative. A great story from a great author. Wonderful interview! 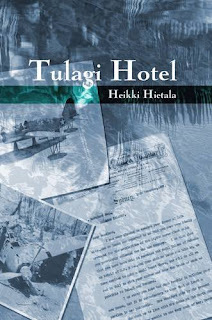 I have not yet read Tulagi Hotel but now I feel it is a must!